“Primary seven pupils in the schools were provision of meals to pupils was adapted performed better in the 2013 Primary Leaving Examinations (PLE) than the other pupils in those schools that did not take the campaign serious. Actually their performance improved from the time they started getting meals as opposed to the previous years of hunger”, asserts Mr. Gaster Madaba a Community Resource Person attached to Buhugu Primary School. One of the key challenges affecting the UPE program in Sironko district is the issue of lack of meals in schools. This phenomenon contributes to the increased dropout rates in schools, as well as defilement of many young girls and boys as they roam around Trading Centers looking for alternatives to midday meals. 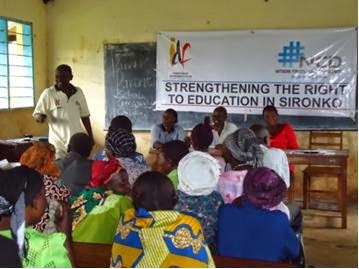 In the bid to address the above challenge, Network for Community Development (NCD) with financial and technical support from Independent Development Fund (IDF), implemented a two year project titled “Strengthening the Right to Education in Sironko”. The project’s overall goal was to increase the child’s right approach to programming in Universal Primary Education, with particular focus to the provision of midday meals in schools. By the end of 2013 the project had registered a number of successes: all the 10 targeted/pilot schools had by mid last year started providing lunch to their pupils-out of 6,798 targeted pupils, 836 pupils (29%) were already enjoying mid day meals at their schools. 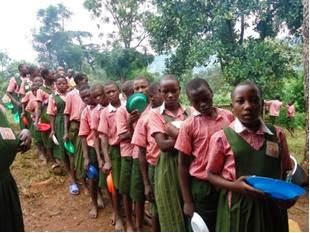 The district council also took up the issue of mid day meals and discussed it in several of their sessions and in November 2013, Sironko District Local Government passed a bylaw promoting compulsory feeding in all UPE Schools in the district. According to the bylaw feeding fees were to be paid before a child was registered effective term one of 2014, and this has been effected in many schools. Lastly parents were made to realise the importance of mid day meals and henceforth started supporting their children and the schools on this. In an effort to sustain this initiative NCD conducted a sensitization meeting for School Management Committees and head teachers and advised them to create food for all committees that will be in charge of feeding in their schools. During this sensitization meeting the District Education Office (DEO) acknowledged NCD’s tremendous contribution in promoting feeding in schools. The DEO said this had helped to keep children in school and would in the long run improve their academic performance, “We are happy to note that through your efforts a by-law was introduced and that the number of children having mid day meals at school has risen from 836 children (29%) to 2,827 children (42%) out of 6,731 children” the DEO remarked. 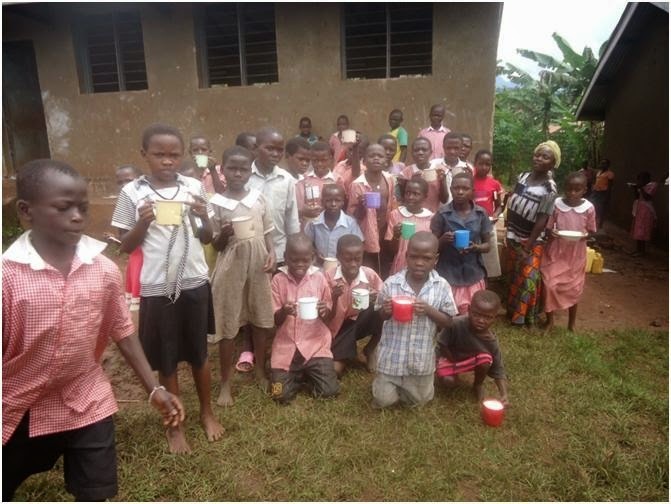 Pupils at Buhugu&Kirali Primary schools at meal time. This success was attained through a combination of strategies; empowerment of key stakeholders; children, parents and community members were provided with information on promoting children rights to education. 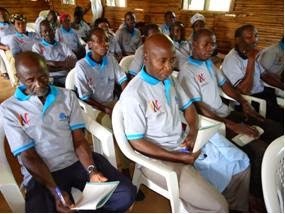 Here 24 Community Resource Persons, 178 model parents, and 30 child monitors were trained in child rights. During these trainings, midday meals were emphasized as a key component if the quality of UPE program was to improve. In the same vein several advocacy meetings were held to provide a platform for sensitizing parents on the importance of providing meals to their children. Creation of self help groups; these operate like savings and loans groups. Parents save and borrow money from it to pay for the meals and scholastic materials of their children. This has proven to be a good strategy because many parents even the previously handicapped ones have come up to support their children with ease. Provision of several alternatives; for example parents with children in Buhugu primary school were advised to pay an agreed sum for feeding at school or to bring maize and beans or even buy daily meals (posho and beans) at school. With more alternatives availed, parents were and are now in a better position to feed their children. In addition to the above were radio talk shows and jingles about the same, community sensitization meetings, and routine interaction with parents by the community resource persons and child monitors. These strategies helped create avenues/platforms for information sharing on the importance, relevance and relationship between school meals and academic excellence and consequently ushered in positive change; reduction in pupil absenteeism and escaping in search for meals, increased concentration and improved academic performance, increased understanding on stakeholder roles and responsibilities to child education by parents and leaders and strengthened district support for education programs in the district especially school meals.